You all know how much I love to use my crock pot. I am always on the lookout for easy recipes to throw in my crock pot as I leave for work every morning. Anything to make my life easier, the better. When I first stumbled upon this recipe I thought it sounded really good but I wasn't sure how my family would feel about it. I decided to try this anyway and they really enjoyed it. 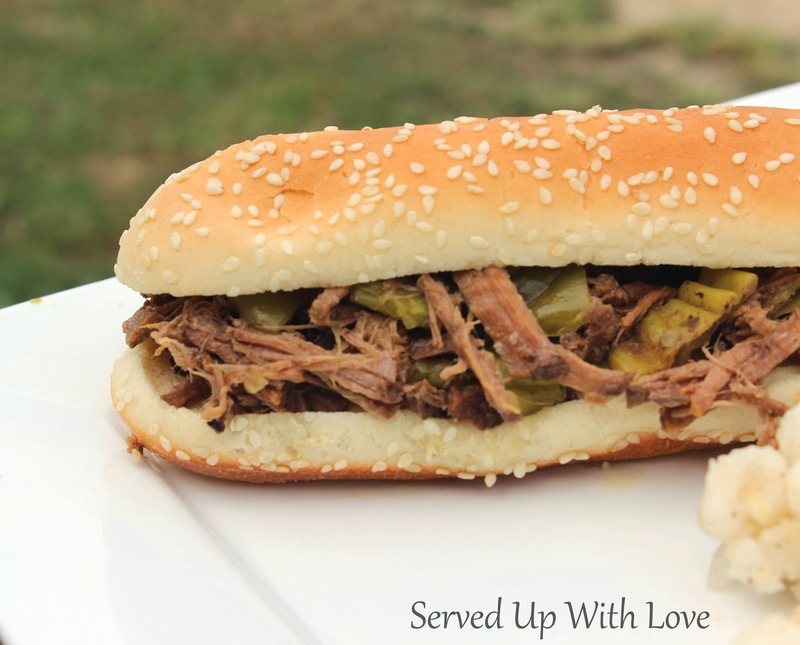 I usually have my go to recipe for Slow Cooker Roast Beef and was happy to find yet another recipe to feed my family. When roasts are on sale I like to buy a few and put them in the freezer. This is the best time to buy and stock up. I like having different options so we don't feel like we are eating the same thing over and over again and have another option for the crock pot too. That makes this busy Moma very happy. 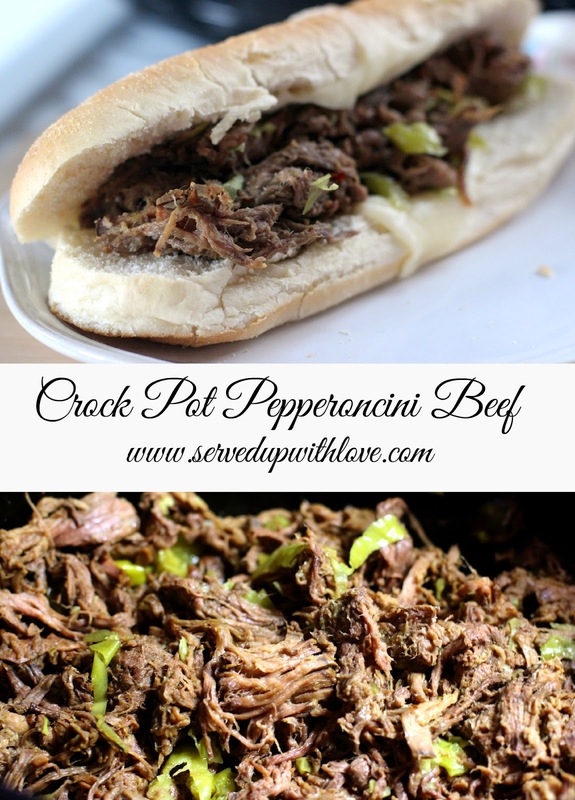 Place roast in crock pot and add jar of peperoncini’s, with liquid. Cook on low for 8-10 hours. Once done, shred the beef. It usually just falls apart; I use two forks to shred. Toast the sub rolls with the provolone cheese in the oven for a few minutes if you prefer. 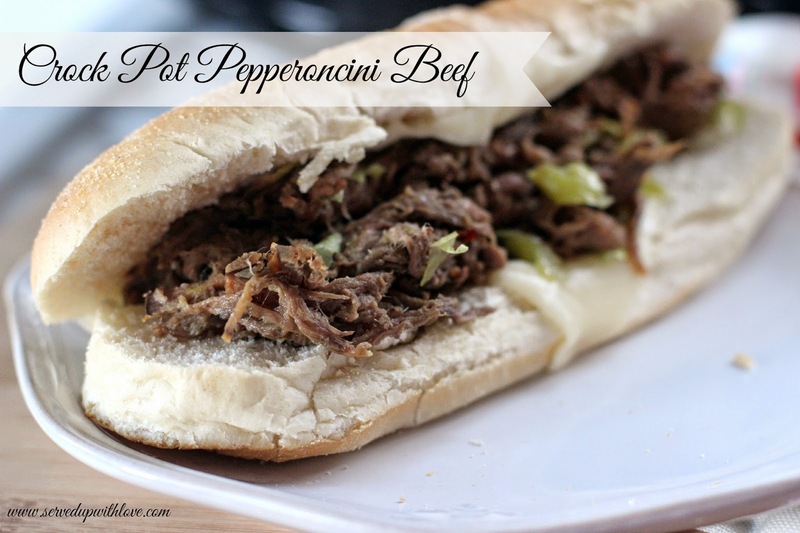 Add the beef and peppers to the sub roll. Add your favorite toppings. Check out my food column in Chesapeake Style Magazine. I shared this recipe in a past issue.